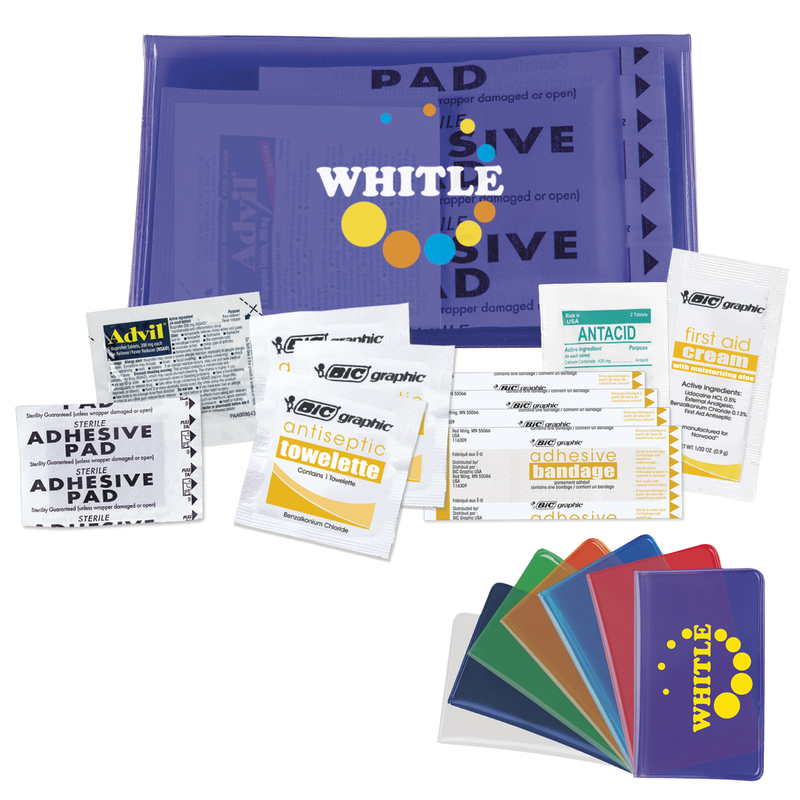 Great first aid kit for direct-mailings; Fits in a No. 10 envelope. Material: Case: PVC Vinyl; Contents: Varied; Bandages: Not Made with Natural Rubber Latex. Foil Set-Up $50.00 (G) per location. Foil Addtional Location $.25 (G) per location, per piece. Foil Additional Color $.25 (G) per color, per piece.